A stock image of a railway bridge. Credit: Nikiforov Alexander/Shutterstock. 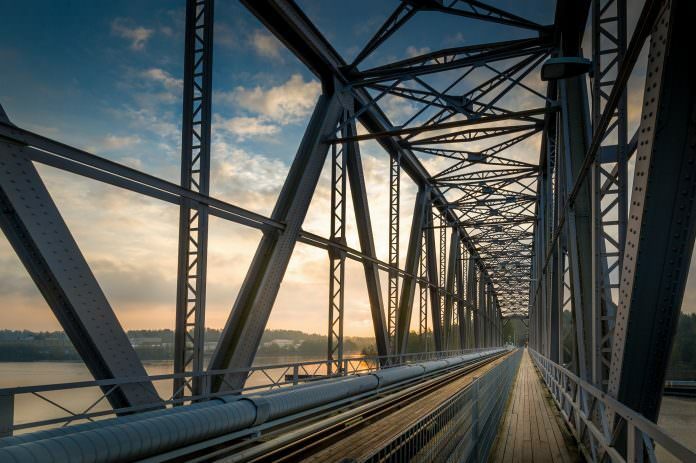 Engineering firm Systra says it wants to become “one of the top 10 international bridge specialists in the world” following the purchase of American firm International Bridge Technologies (IBT). The acquisition is Systra’s first in a specialist field of engineering and will combine IBT’s expertise in segmental and cable-stayed bridges with Systra’s in suspension bridges, truss and arch bridges, metro and high speed rail bridges and viaducts. Systra will also double its geographic footprint in bridge design and gain bridge design centres in the United States, Canada and Dubai to complement its existing bridge design centres in France, Korea and India. Following the transaction, IBT will now be known as Systra IBT. Systra CEO Pierre Verzat said: “By combining the complementary bridge engineering expertise of both companies through our new global bridge centre of excellence, we will offer clients the full range of services in this field. According to Systra, more than 60 per cent of bridges are built as part of rail projects around the world.